The art of face reading, has been around for centuries, it is the art of reading the facial features of a person to gain insight into their personality, your face gives away more than you can possibly imagine, it is the mirror to the inner you. Face reading opens up a world of information about someone without them uttering a word and the more you practice the more proficient you will become. The Chinese believe in unlucky and lucky faces and profess that the face indicates what a person’s life will be like, and whether they will be able to create a secure financial future for themselves. They also believe that what you put into life you will get out of life. The art of face reading has been practiced since the time of Confucius and Emperors depended on the abilities of skilled face readers to guide them and to give them information about others in a seat of power, whenever there were negotiations or meetings with another dignitary, the specialist face readers would be consulted. Those suitable for high ranking positions would first be placed with a skilled face reader to see if they were capable of the position to be offered to them, a person’s personality and character was read before any placement was made, in this case, a book was judged by its cover. Hippocratesembraced the art of face reading and believed in evaluating a person’s character and personality in this way. 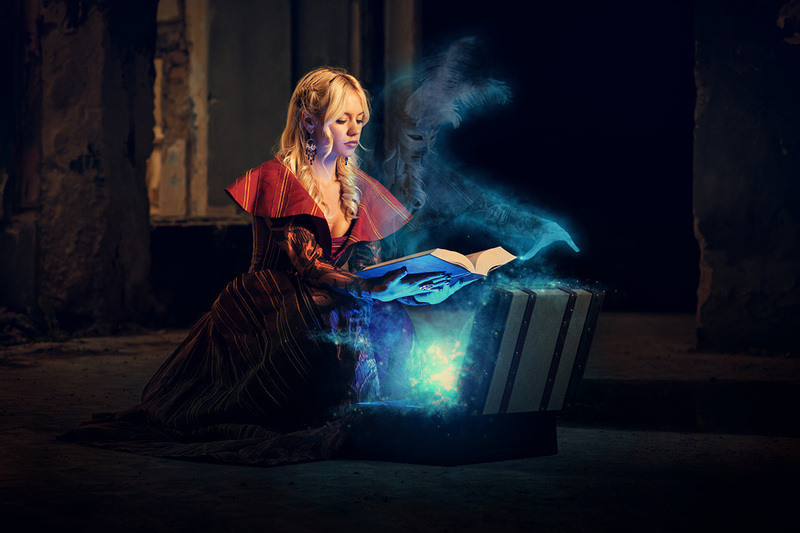 The difference between Western and Chinese face reading is that the Chinese look more deeply by forecasting the future destiny of a person, much is revealed during an in depth face reading session. The face can reveal much about a person emotionally, spiritually, mentally and holistically. By a person learning more about themselves they are given a greater opportunity to live their life with balance and harmony, you can begin by looking in the mirror and reading your own face. 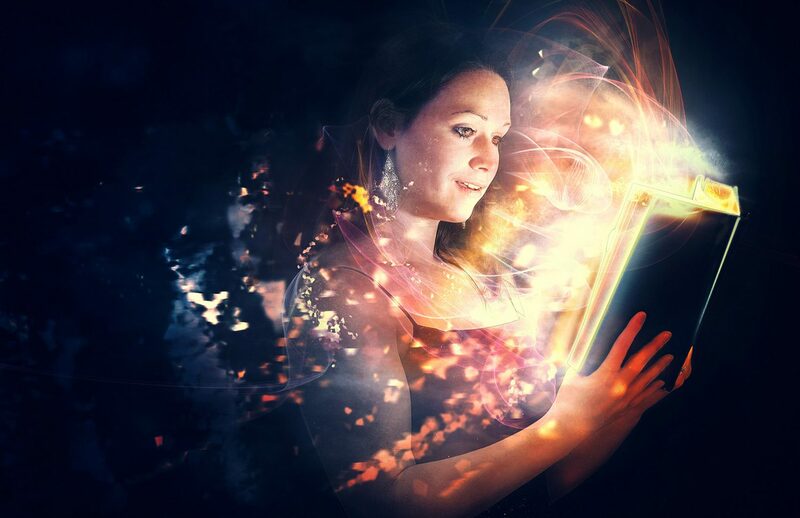 There is an energy inherent in each person that is reflected in their face, this allows a skilled face reader to gain much information about a person. The permanent features of the face reveal information, about identity and genetic background. 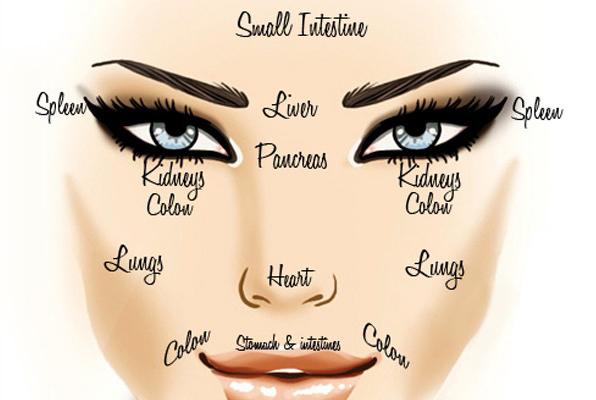 Each feature on your face correlates with a particular organ of the body giving a practiced face reader insights into your health as well as your personality and characteristics, they are able to piece together a picture of the whole person. In Asian cultures ancient face reading techniques were integrated with religious beliefs, the practice of face reading was held in high regard and very learned men took their art very seriously. The face is read by dividing the three life points, these are, the forehead, the mid-face and the lower face, these show the nervous, circulatory and digestive systems, and the area of the face which aligns to the internal organs, thus giving the reader a deep insight into a person. Your face reveals your life from early childhood onwards, when a person is under stress it shows in the face, the past, the present and future, can be read in a person’s features, the person behind the persona, the mask, is revealed. The yin element in the face is represented by the soft tissues and the yang element is represented by the bones. Each part of a person’s face relates to a side of their personality, a story can be told, once you learn this art you will never look at anyone in the same way again. Within your face is revealed the hidden you and the internal influences that drive and guide you in your day to day life. Characteristics, such as reliability, honesty, loyalty are uncovered, a person’s face will reveal their personality traits, nothing can, or is hidden, information about a person’s behavior is there for all to see. A trained face reader can put together an accurate profile without the person uttering one word, your history is written in your face. Your destiny can be read in your face and by having some insight into your future and your potential you can be guided to make wise decision as you walk along your life path. By the reading of your face potential obstacles and challenges can be revealed and prepared for. 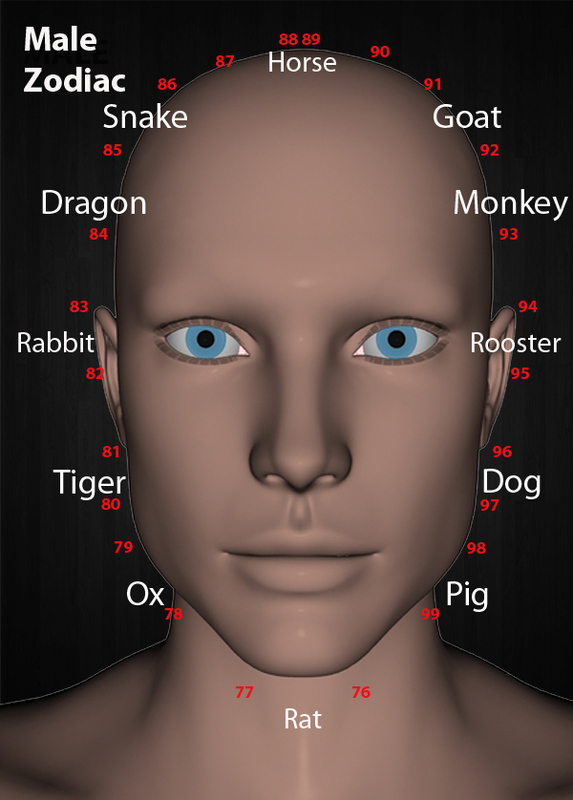 The Chinese believe to read the face on a deep level it is necessary to familiarize yourself with the 100 year face map. 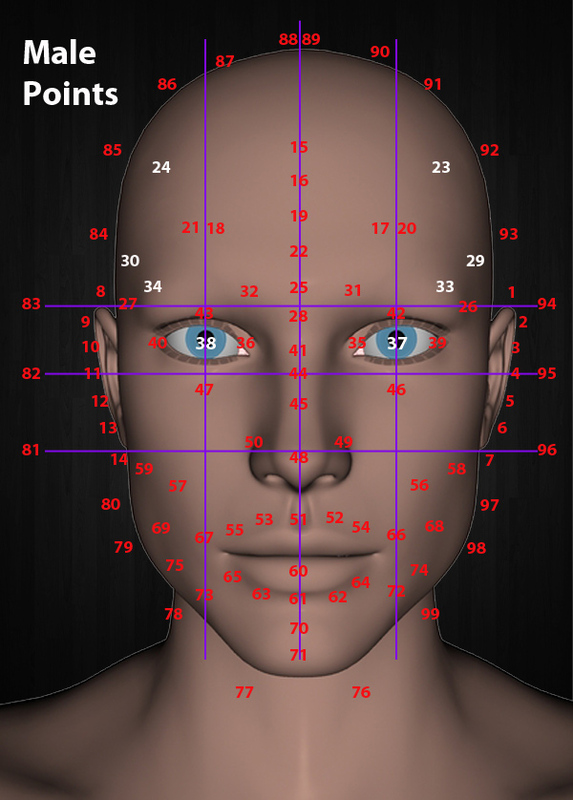 Your face has pinpoints each with a number from 1 to 100 and you read the face from whatever age you are, such as if you are 38 you begin at point 38, if you are 20 you begin reading the face at point 20, if you are 60 you begin at point 60, your face literally pinpoints each year of your life. The 100 year face map is different for men and women, for women the face reading begins on the right side of the face and for men it begins on the left side. The 9 month gestation period is counted and you are 1 year old from the day of your birth. The first thing to look at is the shape of someone’s face, and gage the predominant shape. 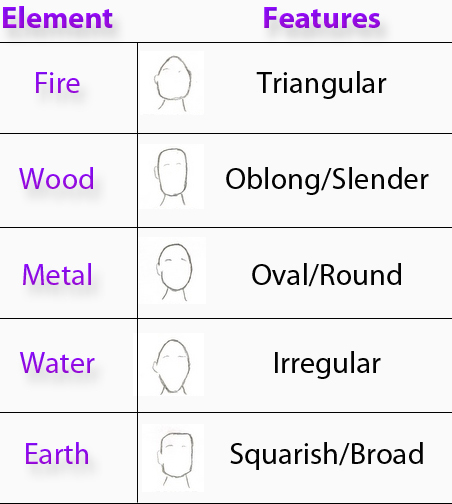 Familiarize yourself with the face type categories, there are five face types each corresponding to the elements. Wood face, Water face, Fire face, Metal face, Earth face, and Wood face. The wood face has a high forehead and quite narrow cheeks. They are likely to have warm friendly eyes, neat eyebrows, and a nice head of hair. Usually they are tall and thin. These are the capable leaders, they are good organizers and planners, they set high goals for themselves and others they also make exceptional doctors or medical researchers. They do not fear responsibility, in fact, they welcome it. Wood people are also suitable for the political arena they make fantastic mediators. They are forward thinking and have long, and short term goals, they have high ideals they are the visionaries they stride through life sure footed and determined. They are linear thinkers and don’t get bogged down with incidentals, if you want something planned, implemented and completed, this is the face type to do it. The wood personality can be quite assertive and does not like to be stymied in any way, if they are they can have quite a temper, if they don’t react and internalize their anger they can become down in the dumps (the more extreme mood is depression). This personality loves progress and is happiest when there is a project being worked on as they love to feel challenged and welcome the adrenaline fueling them as they work. If they aren’t able to express themselves they can become very frustrated and indecisive. The face of the water personality is round and they often have dark hair and large engaging eyes, they are gentle souls who are very emotional and sensitive, you could say that they are ruled by their emotions. They have a heightened sense of intuition and can read the mood of others instinctively, they are the carers of the world, if you have troubles and you want a receptive ear then talk to a water face personality. People are drawn to them and enjoy the warm feelings they engender, as they are certain of what they want in life they somehow have the knack of drawing it to them without undue effort on their part. Water faces are astute decision makers and usually rely on their intuition when making decisions They are fine as long as the energies around them flow but if things stop they tend to suppress their worries and the well becomes clogged, if this happens it is necessary to encourage them and engage them so they don’t wallow. Most faces have a combination of the different elements, and the classic water face is quite unusual. Water types can be ambitious although as they are quite yin they often have to push themselves if things are not flowing freely for them, they can be worriers and this tires them. You can recognize a fire personality with their long face with narrow and quite prominent cheekbones, they will have a pointed forehead and a pointed chin, it is also possible they have freckles and very likely red hair that is abundant and strong, maybe even curly. They often do things to draw attention to themselves, fire people are very intelligent, they are often extremely creative. They are likely to have an irrepressible personality and can become very enthusiastic and their enthusiasm spills over and affects others. Fire people love attention and have a never give in attitude that makes sure they always reach their goals. Goals are very important to them as is being outdoors, they are the adventurers of the world and need a charge or excitement to spur them on, they are very daring and can be unpredictable. If they are not on the move or planning their next move, they can become quite withdrawn therefore it is imperative that the fire type keeps busy. You can pick the metal face by the oval shape and wide set cheekbones, they have clear eyes that can be penetrating, they often have pale eyebrows and straight hair, and they have a precise way of speaking. They are the lawyers, psychologists, doctors and teachers of the world. They have astute minds and are quick thinkers, they love to read and learn, they possess a good sense of humor and look at problems as challenges to be dealt with and overcome. They are happiest when working hard, in fact you could call some of them driven. If however they become down they are not much fun to be around and are best left to their own devices and given the time to solve whatever it is that is bothering them. You can instantly tell an earth face by the determined jaw line, their faces are square, and they often have a deep voice. The mouth is often full and they have a serene quality about them, they step steadily through life making sure and cautious decisions as they go, they handle money well and are very loyal. There is a certain stoicism in their approach to life, a sort of knuckle down and get on with it attitude. 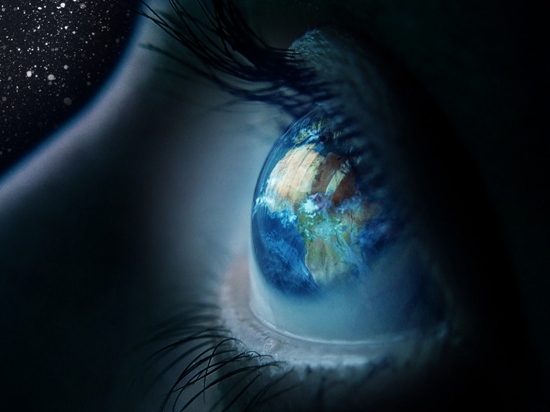 Earth people keep their thoughts to themselves so don’t expect them to reveal anything to you. They could be considered enigmas, earth people have the gift of trustworthiness. 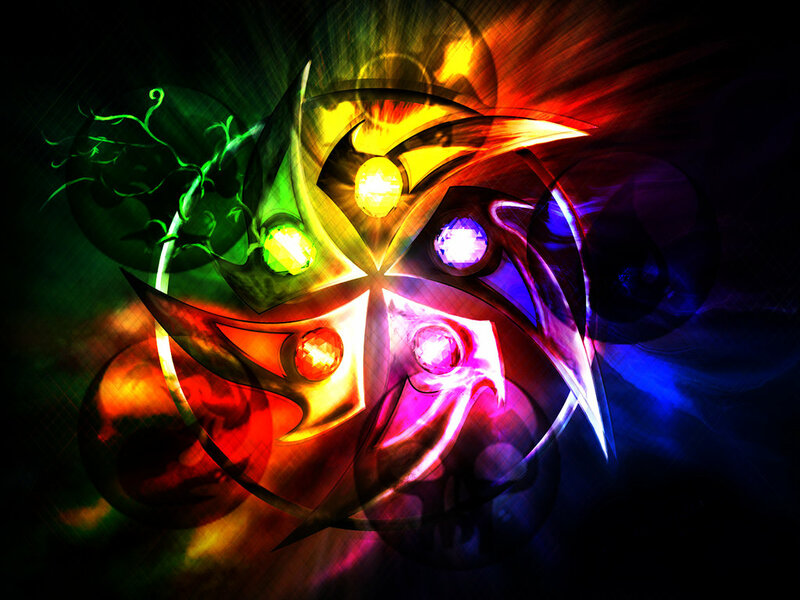 Earth people have the ability to draw abundance to them as they are astute money managers. They have a somewhat conservative approach to life and they don’t take anything lightly and have a tendency to worry. The earth face type has great empathy and compassion and many are philanthropists. 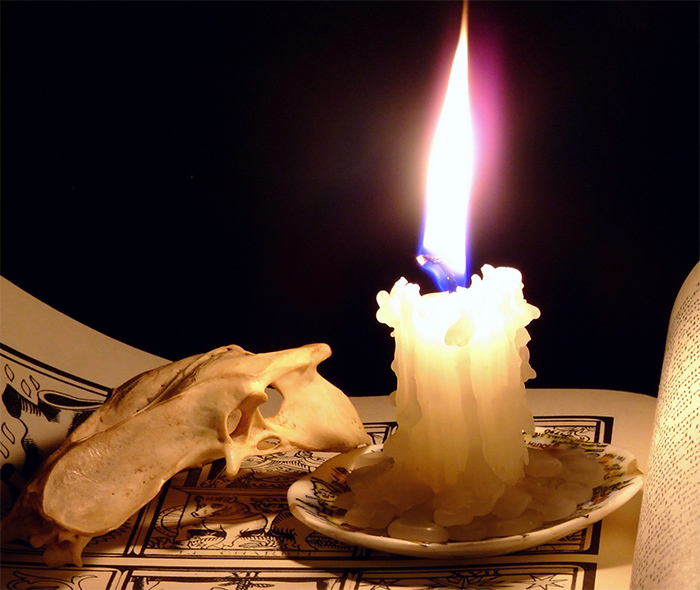 They have to learn to keep the inner energy centers clear and vibrant so they don’t become sluggish, this can be done through regular meditation practices and crystal healing exercises. After deciding on what element a person is you can then look at the facial expressions as this will give you greater insight. There are certain universal expressions that reflect particular emotions and these are recognized regardless of culture. This is of course an easy expression to interpret. The mouth curves upwards, the teeth may or may not be showing and the face looks relaxed the eyes shining. The messages are joy, friendliness and pleasure. The sad expression is like crying without the tears. There is tension in the face, the mouth turns downwards and the eyes look pained. This expression is the opposite to the happy face in all aspects, in fact unhappy people exude a dour energy as if a black cloud is over them. This is another expression that is not difficult to read, only with anger it is not only the face that shows tension and hostility, it is the entire body. Anger is something that cannot be mistaken in a person’s face. Anger can be constructive if controlled, such as clearing the air if there are tensions, channeled anger is often used by those who protest passively or those who seek help for vulnerable children or animals. They are showing anger but it is being used to effect positive change, therefore if someone is showing an angry expression they may be the ones who are to bring about positive changes in society. With fear the eyes widen and vulnerability can be easily seen, there is often protective body language such as turning the body away, arms wrapped around the person’s body, or folded arms. When humans are threatened they immediately go into defense and protective mode. Seeing an expression of fear on a person is representative of imminent danger, when the danger, perceived or otherwise is over, the face will relax. Normal behavior and cognitive functions are affected when someone is feeling fear. People who are fearful are generally extremely sensitive, cautious and wise individuals. They often have the gift of empathy. When a person is showing disgust they purse their lips, wrinkle their nose, and look as though they have smelled something awful. This expression is always in response to something a person does not like. The expression of surprise is sudden and often involves the mouth opening and sucking in a big gulp of air. The eyes widen either happily if it is a good surprise, or the opposite if it is not. If a friend surprises you, you are likely to feel happy, if the person who surprises you is not a friend there may be fear within the surprise. Pointed eyebrows meaning – You are the free -spirited extrovert, you like to win and will go where angels fear to tread. Large thick eyebrows meaning- These eyebrows belong to a driven personality, not much puts you off or stops you, barriers are broken down by your never give in approach, some would say you are driven. Fine eyebrows meaning – Delicate sensibilities belong to the fine eyebrow types, they approach life gently and with an air of serenity about them, they like to spend their time with refined personalities. This person at their worst can be scatterbrained and they need to learn how to focus as they can attempt to do several things at once, and finish none. They must learn to set priorities and focus on one project at a time. These types rely on the higher self, or intuition, to make decisions, they can often have a far away expression on their face. They work well with others and seem to draw people to them. The weaknesses and strengths are revealed by the elements in a person’s face and the zones reveal health, the shape of the features reveal events and their timing in the person’s life. The 100 year map is grouped into childhood, adolescence, middle age, senior age and old age. You begin from the left side of the face for males, and from the right side of the face for females. Male and female numbers 15 – 30 are located on the forehead, starting from the left for the males and the right for the females. Middle age ( Ages 31 – 50 ) the areas the eyebrows and eyes are calculated for the ages 31 – 50 and the nose and cheeks the areas for the ages 41 – 50. Senior age ( 51 – 70 ) the ages 51 – 60 is governed by the lips of a person, and the chin and jaw is read from the ages 61 – 70. Old age ( 70 – 100 ) this is the latter half of a person’s life, different points on the face relate to a particular phase of life and luck. Childhood (1 – 14) well developed ears represent a happy and balanced childhood, whereas and underdeveloped ear can mean difficulties in childhood. Childhood ( 8 – 14 ) a very thin ear represents some difficult emotional issues that a child had to deal with during this age range, well developed ears represent a warm and happy childhood where the child was well cared for. There are seven point on the ear which represent the formation of a child’s character. Youth ( age 15 ) the center of the hairline is referred to as the Fire Star it is located in the highest point on the forehead, a high set Fire Star is indicative of a studious personality who will do well academically, if the Fire Star is hidden within the hairline it is highly likely the person left school early and entered the workforce and they may also have had family burdens to contend with. ( Age 16 ) this is called the Point of Nobility and is located directly under the Fire Star, this point relates to your standing in the world, any marks in this area represent some difficulties the person had to overcome at this point in their life, if the point is smooth and unmarked is reveals a studious and industrious time in the person’s life. ( Age 17-18 ) this is called the Sun and the Moon, age 17 is the sun point and age 18 is the moon point, the father and mother respectively and the quality a person’s relationship with their parents is represented by this point on the forehead. If this are on the forehead is well developed with no markings this represents assistance from the parents, if there are markings or scars the representation is of a self-made person who has not been given assistance from family. ( Age 19 ) this area is known as The Heavens and is located one finger space beneath number 16 The Point of Nobility, The Heavens represent luck and the way you carry yourself in the world and whether you are dignified in your demeanor a fleshy non scarred are represents someone who carries them self with grace and elegance, if the area is marked or scarred you will find the person possibly has a devil-may-care more robust journey through life. ( Ages 20 – 21 ) known as the left and right assistants, these points are represented to the left and right of the forehead and represent helpful people in a person’s life, if there is an indentation in the centre of the forehead which pulls on the left and right assistants causing them to droop, this reveals a person who is a lone sailor and does not receive assistance from family members, a smooth and well developed centre areas not pulling on the assistants reveals support from family if needed. ( Age 22 ) The Confidence Point, this is located one finger space under point 19, the Heavens, this is to do with a person’s self-confidence and respect for self and others, those with a mark on this point find they have to work hard for what they attain and have a tendency to be presented with more than their fair chair of challenges which affects self-esteem, this point is the same for females and males, if the area is smooth and unmarked the person is very likely confident and capable and comfortable with their place in the world. If a woman has a mark in this area she may have some issues with her body and possibly have a tendency towards anorexia or be quite preoccupied with her looks. If this point bulges on a woman she may be an attention grabber and quite egocentric. ( Ages 23 – 24 ) The Sky Horse, located at the two corners of the forehead, this are represents how daring a person is regarding travel and shows whether they will move and work in another country. Those with a fleshy looking are able to travel and gather abundance they also make good business partners, if there is a mark in this area or scarring, the person is more likely to stay close to home rather than venturing and working in another country. ( Age 25 ) this mark is in the center of the head directly below 22 the Confidence point is surprisingly called Direct Center, this area should be smooth and unmarked and has to do with balance and an appreciation of life, those with bumps and marks could possibly struggle in their life and this can be to do with rather extreme views and outlook, they need to value the thoughts, feelings and ideas of others. ( Age 26 – 27 ) this area is called the Tomb and Grave these positions, the points are located in the temple area, this area is to do with the consideration towards others, these should be flesh and clear with no veins protruding, this area is to do with genealogy and what you have carried through this lifetime, an area that is marked or scarred reveals there may be some hereditary issues that are difficult and may need to be overcome. ( Age 28 ) this area is called the Resource Hall and is located directly beneath area 25 Direct center, it is located between the eyebrows, this is to do with the quality of life and if the area is flesh it promises a successful life, if marked and bony or bumpy there will be hurdles to clear and effort will need to be put in to have the quality of life you want. 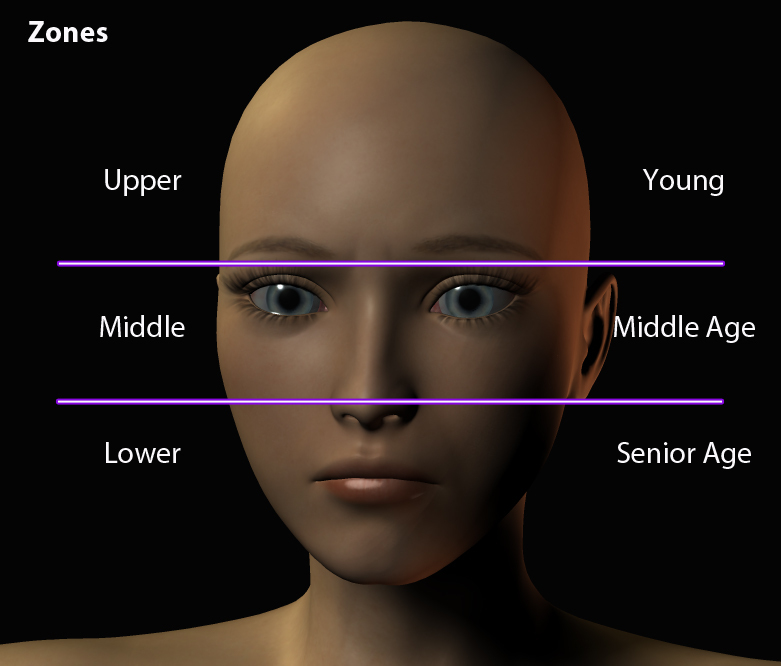 (Age 29 – 30 ) called the Forest of the Face and located just above the point of the ear, for the female the left ear, for a male the right ear and can represent how accident prone you are a smooth area represents a relatively accident free life, whereas a marked or scarred are means you may be accident prone, and have some health issues to be dealt with, if the area is sunken it denotes some health issues. ( Ages 31 – 34 ) known as Brow Luck, ages 31 – 32 are represented by the head of the eyebrow and the ages 33 – 34 are known as the tail of the eyebrow, remember it is the right for a female and the left for a male. Refer to the eyebrow section mentioned earlier, to do this reading. (Ages 35 – 36 ) referred to as Great Yang and Great Yin, Great Yang is the inner corner of the eye and Great Yang is the outer corner of the eye, remember the right for females and the left for males. Look into the eye and first note if there are red lines if there are this represents difficulty in dealing with day to day life situations and means you may not be functioning up to par and you need to revitalize yourself, and you have been, or depending on your current age are or will be going through a time in life where nothing seems to be working for you. ( Ages 37 – 38 ) these points represent Middle Yang and Yin and represent the center of the eyeball, if the eye is moist and water you are looking at a very emotional person, if the eyes are dull, lack lustre and unfocused this person is not concentrating on what is going on around and is likely to be going through emotional difficulties and around the ages of 37 – 38 they were, are or will be going through a difficult or trying time within a relationship and diplomacy will be needed. A large pupil denotes someone who can be naive and struggles with emotional issues. If the eye whites have a yellow tinge there were, are or will be difficult changes around the ages ( 35 – 40 ) and the person will find them difficult to deal with, there could also be shifting career paths or a relationship ending. If the yellow is evident and the eye is bright the changes at this time will be for the better and well received, the necessary adjustments will be welcomed and there will be success. ( Ages 39 – 40 ) known as Lesser Yang and Yin ) located in the outer corner of the eye white, refer to eyes. ( Age 41 ) referred to as the Mountain Root, located in the center of the nose between the eyes, this area is the revealer of drive, determination and ambition and how you get to where you are going, a high Mountain Root reveals a very confident person, a low Mountain Root, reveals means a life full of challenges and a self made quality, a nicely place Mountain Root denotes someone who gets on with it and is capable of overcoming whatever is put in their way. ( Ages 42 – 43 ) this area is called Windows to the soul and is located in the inner corner of the eye white, when reading you are looking for clarity and alertness, clear focused eyes are indicative of a clear and focused personality, while dull unfriendly eyes are indicative of someone who likely has difficulty in relationships, eyes with half open lids are secretive, and have a penchant for getting themselves into hot water. ( Ages 44 – 45 ) this area is referred to as the Health Position and is located on the bridge of the nose just below the Mountain Root point 41, a straight slightly fleshy unbroken area suggests someone who is very healthy, any bumps or marks reveal some, possibly hereditary health issues. ( Ages 46 – 47 ) referred to as the Power Bones, located on the upper tip of the left and right cheekbones, the area should be fleshy and without downward lines from the eye area, if there are downwood lines this means some money loss around this age, if there is a mole the loss is to do with a business. Those with a nicely fleshy area are the business people of the world who handle large amounts of money deftly, people with defined cheekbones that protrude are more forceful than there fleshy sentimental counterparts. Sagging cheekbones represent someone who likes to hold onto what they have and find it difficult to share. ( Age 48 ) the Point of Conscience, this point is on the tip of the nose, a pointed nose belongs to someone who is extremely ambitious, those with fleshy nose tips are easy to get on with and are fair and equitable business partners, and work well with others. If the tip of the nose is rounded the person can be sure to draw wealth to themselves. The best noses for success are those that suit the symmetry of the face as this ensures prosperity and happiness in love. ( Ages 49 – 50 ) known as the Wings of Wealth and located on the nose wings, this is the outer corner of the nose where it meets the face, the wings should sit nicely on the face in a balanced way and be easily defined ensuring an ease in life, if the wings are not clearly defined this age will present some challenges emotionally or financially or both, if you haven’t reached this age and this is shown in your face you can take steps especially financially to avoid any financial loss by being cautious around this time in your life. ( Age 51 ) this point is called the Middle Path and is located directly beneath the nose and above the lip in the crevice that joins the two, this is the area that lets you know what to expect in mid-life. 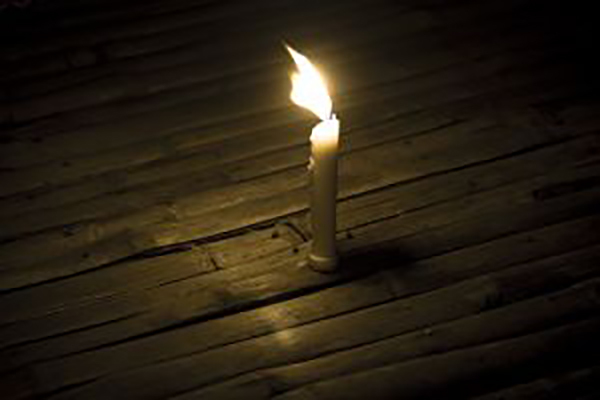 You are looking for an area that is well defined and deep this tells you that all that has been acquired to date, you will hold on to, if it is tight or narrow, you will face financial challenges at this point in your life and will have to use caution to hold onto what you have gained. (Ages 52-53 ) this area is known as, Fairy Storage, and is located beneath either nostril in the center between the nostril and the lip, for men the left side is 52 and the right side is 53, for women the right side is 52 and the left side is 53, these areas are to do with what you have gained, or will gain at this point in your life and is a depiction of the joy you experience in your life, you want this area to be smooth and well defined with no marks or hair growth, thus revealing you experience or will experience joy in your life at this point. If there are marks or hair growth it means there will be challenges and unless you are cautious you may experience financial loss, if you have not yet reached this age, you are forewarned to take care of what you have worked for. (Ages 54 – 55 ) This point is known as, Eating Storage, and is located above the outer corner of the lip, left and right and between the lip and the outer edge of the nose wings, these points depict how you settle into your midlife, and how you are able to enjoy this point in time and whether you are enjoying and appreciating the fruits of your labour. Take notice of the shape of the mouth is it well designed and does it have symmetry do the sides curve slightly upwards? This is considered very good and means you are or will experience a very comfortable mid-life. If there are lines or marks going up from the lips to the Eating Storage point, you have, will, or are experiencing some financial stress, a very dark mark on this point of a male or female reveals there will be some health matters at this point. A mouth that curves downward naturally denotes who doesn’t appreciate what they have gathered at this point in time, and they need to learn how to be thankful for what they have and appreciate their time in life. (Ages 56 – 57 ) Laughter Lines, these lines are located one centimeter out from the lip edge left and right and is the point halfway between the far outer corner of the lips and the extreme outer wing of the nostril. Lines in this area for males the left side, and right side, for females the right and left side, these depict a long life. This is one area of your face that lines should be welcomed because of the fortuitous depiction. If the lines are broken on the face of male or female the person needs to be careful with their health, and or, financially at this point in life. Well defined and unbroken lines depict well regarded social standing. (Ages 58 – 59 ) Tiger Ears, are located at the outer jaw point read left to right for the male, and read right to left for the female if this area is very bony it can depict someone who doesn’t always recognize those who are supportive or helpful in their life, a nicely covered area depicts someone who appreciates what others do for them. (Age 60 ) The Water Star, this point is the same for males and females and is located in the center top tip of the lip, you are also looking at the lips as a whole and what you want to see are nicely defined lips, you are looking for lips that are in proportion to the face if this is so the person is going to have good luck at this point of time in their life. Luck may be a little precarious if the lips do not meet at the point directly aligned with the outer wings of the nose. A mouth that has no clear borders depicts a person who is very emotional. Very thin lips belong to someone who can be a little harsh, fuller lips denote a more sensitive nature. (Age 61 ) Cheng, Jiang Position located in the center at the bottom part of the lower lip and is the same for males and females you are looking again for a fleshy lower lip that is well defined which depicts a smooth flow into your latter years, marks on the lip or indentation reveal a more difficult transition possibly a struggle with growing older. (Ages 62 – 63 ) Earth Storage, the position of this point is just out from position 61 on the left to right for the male, and the right and left for the female, a thin and bony area indicates someone who doesn’t like being alone, well defined area means this person will be serene and financially secure at this age, it also depicts many family members being loving and supportive. (Ages 64 – 65 ) Old Age Supporters, located next to positions 62 – 63, you are looking for a fleshy are which show family and extended family around you at this time and growing old gracefully, a bony area below the lip means be very careful of your finances at this time and do not jump at any get rich quick schemes. (Ages 66 – 67 ) Lip Edge, the corners of the mouth left to right for males, right to left for females, the ideal lip edge is when the corners of the mouth point upwards naturally this show an optimistic person, the mouth that points downwards at the corners reveals someone with a more pessimistic nature, they are also overly emotional. (Ages 68 – 69 ) The Dimple Point, a prominent dimple either side of the face is indicative of a worrier, no dimples reveal someone who is more optimistic about most things in life. (Age 70 ) The Chin, this point is located in the center of the chin and is the same for both men and women, you are looking for a strong chin and clear eyes which is evidence of someone who is wearing their age well and is not succumbing to old age, but challenging it. It is also to be noted that those who are comfortable financially at this point in life tend to have less or no wrinkling in this area. (Age 71 ) Earth Corner, located directly below The Chin area, this area should be broad and fleshy and this is indicative of financial and emotional abundance at this time in life, scars or lines show health issues, and a cleft reveals wonderful creativity and a very active person. (Ages 72 – 73 ) Hired Help, located to the left and right of 71 Earth Corner, you are looking for an area that is smooth and unlined which means it is very likely that this person will be involved in business until their latter years, they will also be surrounded by family members, thin skin or lines indicate some difficulties in running a business at this point and help may be needed, this can also relate to some health matters. (Ages 74 – 75 ) Jawbone, you are looking for a fleshy jawbone, which depicts prosperity and this is certainly the age when you want to be able to relax on your laurels, this should be a time of relaxation and dignity, a person with a protruding jaw line may be having age issues and rather than aging gracefully they are struggling with their age. 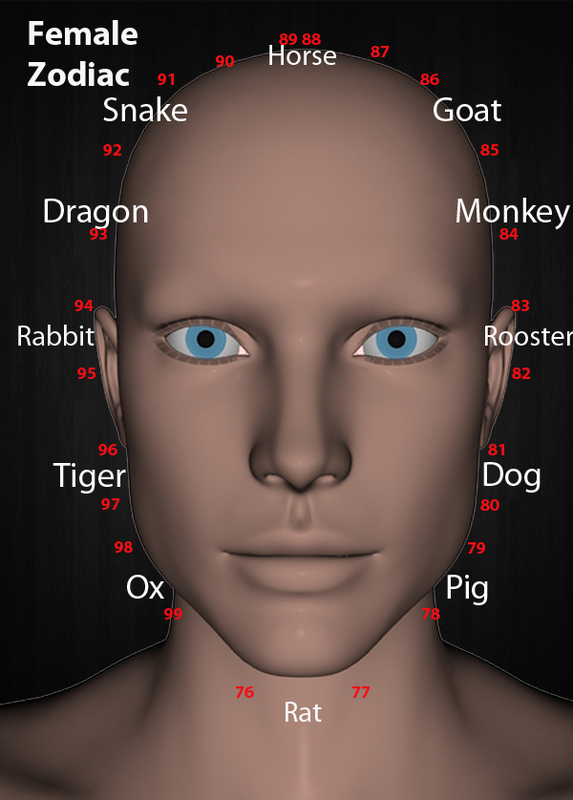 (Ages 76 – 99 ) The face at this time is divided into the twelve animal signs Snake, Horse, Goat, Rooster, Monkey, Dog, Pig, Ox, Tiger, Rabbit and Dragon. For females the signs are read clockwise, and for men they are read counter clockwise. At this age the face is read by considering the entire sector, not just one area, the main points of consideration at this point in the person’s life is often their health. The eyes can reveal much about a person’s health and well being, and can reveal their financial situation also. See diagram. Now that you have some face reading guidelines try it out for yourself and you may find that you know people, as well as or better than they know themselves.